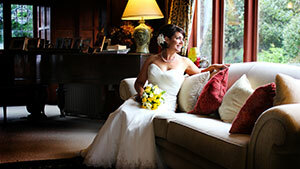 A deliciously comfortable bed and sumptuous breakfast for 2 in the Lodge, at a special rate of NZD 239 ! Dinner and drinks are available, extra. 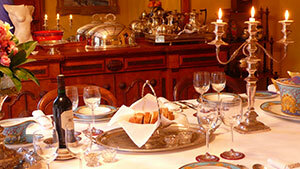 Or stay in our self-catering Granary or Stablehand Quarters from NZD 199 (2 people). If you are dreaming of a relaxing couple of days, Gunyah Country Estate is just the place for you. Mention our website offer when contacting us to make a reservation. Offer valid for stays between 01 and 30 May 2019 subject to availability. 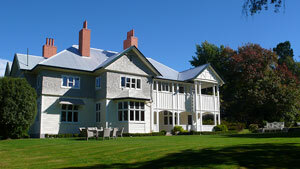 In the rolling foothills of the Southern Alps west of Christchurch you’ll find Gunyah Country Estate. Visitors to nearby Mt Hutt and Methven looking to experience the mountains, scenery and outdoor pursuits couldn’t find a more central base than Gunyah. Your Mount Hutt Methven accommodation needs are catered for at our magnificent rural retreat. At Gunyah Country Estate we indulge our guests in the understated grace and style of true quality in one of New Zealand’s grand old rural homesteads. There’s something special in the fresh air around Gunyah that makes people come back again and again – whether you’re searching for a base for your vacation adventures, a contemplative sanctuary, the perfect location for your wedding, function or private company meetings, Gunyah will be that special place. Find out more about Gunyah Country Estate, how to get here, our suites, dining, weddings and the local activities you can enjoy while staying at Gunyah. Gunyah Country Estate from Sensational Selwyn on Vimeo. Set amidst beautiful gardens and woodland walks, Gunyah’s tranquil surroundings and gracious suites provide a magnificent sanctuary for the discerning traveller who appreciates quality, culture, heritage and service. In the dining room at Gunyah Country Estate you will be treated to the sumptuous tastes of the freshest local fare prepared by our European chef. Every detail and refinement is catered to, so that you can relax and enjoy the delights of your meal in a warm and convivial environment. Our beautiful setting, fine food and attention to detail make Gunyah the perfect spot for company functions, taylor-made weddings or group day visits, with a variety of indoor and outdoor locations suited to your needs. "Historic Mount Hutt Methven accommodation at Gunyah Country Estate. A magnificent rural retreat in the foothills of the Southern Alps."